That didn't take long, ideal! XCOM 2 [Steam] for Linux has been updated to support the huge Long War 2 mod! This mod is massive, seriously massive. 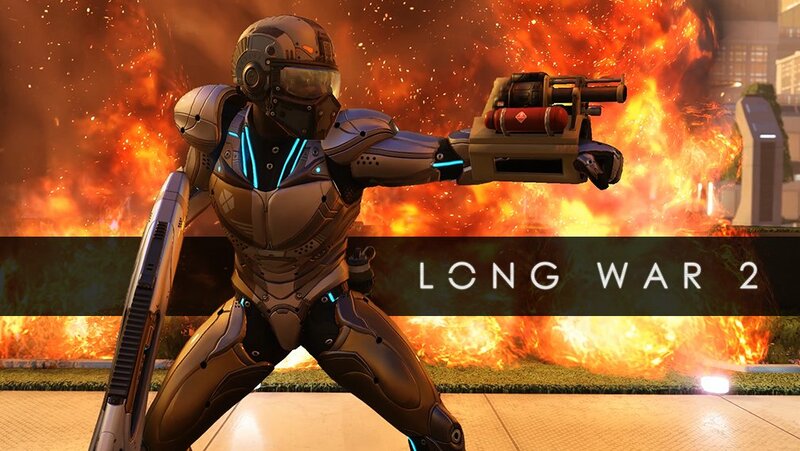 You can find Long War 2 on the XCOM Steam Workshop right here. It's free of course, being a mod. If you were on the fence at all about XCOM 2 before, now it should be a sure thing for you! And I'm still stuck on Massive Chalice Brutal campaign. Hopefully I finish it up by the weekend and get back to some XCOM-2. I would just play LongWar on Normal, while I like a challenge, I dislike restarting a game 5000 times to get past 1 mission. The Long War sounds awesome, but I don't know if I'll ever play it simply because vanilla XCOM 2's end-game remains a mythical realm that I may never see with my own eyes. But I still love XCOM 2. I don't think anybody has ever made a game that is so much fun to lose. Why are so many people complaining about difficulty of XCOM 2? It's really not that hard, especially on normal difficulty. The difficulty I've had with XCOM 2 is getting mods working again. They used to work for me, but something went wrong. Should be fixed by now. It was broken when Shen's Give DLC came out. I can't confirm since I haven't played since. I'll have to install it again one of these days. Mountain Man end-game remains a mythical realm that I may never see with my own eyes. Feda Why are so many people complaining about difficulty of XCOM 2? It's really not that hard, especially on normal difficulty. Maybe I am just daft at these things but XCOM2 makes me feel like I have to rush towards everything. I get that there is a time limit (the Avatar project) and that the XCOM group is not the same as it was in the previous game but I still feel like I have to go towards a certain path in research or whatever or otherwise I will be completely underpowered. d) constant incursions against you that you can't delay for a day at the very least. This gets annoying when you are 1 day away from completing research on something important that could help make things slightly easier. e) missions where you 8-12 turns to do something so no playing defense but you get to be swarmed with hostiles all over the place who rarely miss. I played XCOM 1 on Normal and it was a different ballgame.